Rain or Shine the party is on! We love kids so please bring them. There will be food and drink, friends and smiles. This is a party that we have had now for 30 years. No Lead is ever used in any part of making my pottery. My pottery can be used in the microwave, oven and for sure dishwasher. 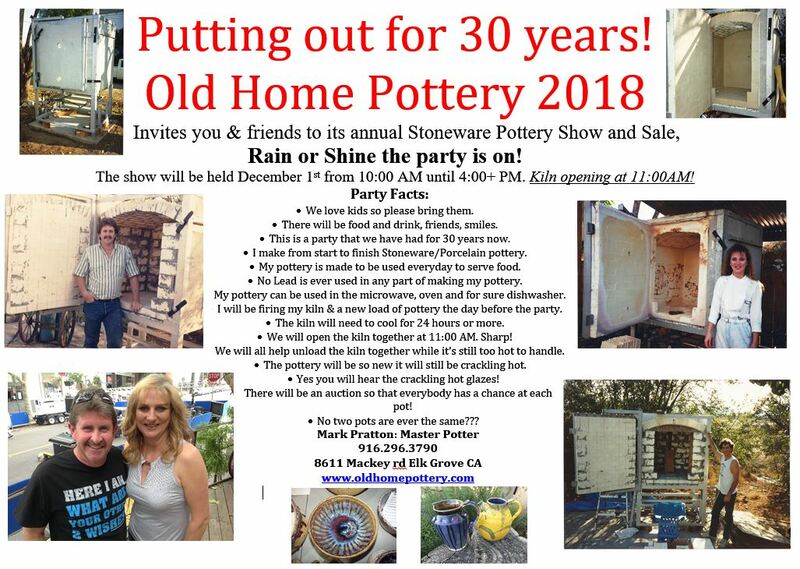 I will be firing my kiln and a new load of pottery the day before the party. 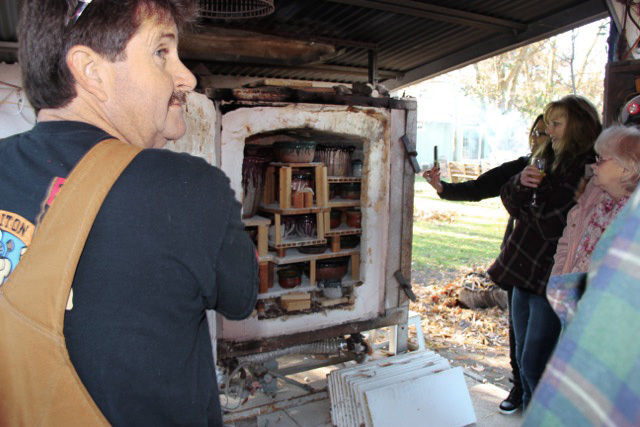 The kiln will be heated to 2300° F.; that takes 14 hours. The kiln will need to cool for 24 hours or more. We will open the kiln together at the party at 11:00 AM sharp. We will all help unload the kiln together while it's still too hot to handle. The pottery will be so new it will still be crackling hot. Yes, you will hear the crackling hot glazes! There will be an auction so that everybody has a chance at each pot. No two pots are ever the same?? ?